When I got asked to teach a hand quilting class at the Arrow Rock Quilt Camp this spring, I knew that I wanted a fresh new design for our project. 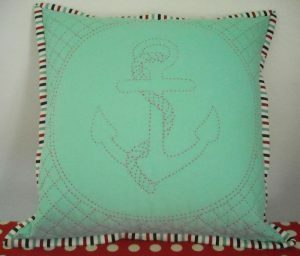 With summer fast approaching, I thought something with a nautical theme might be nice, so I drew up this little anchor design. I surrounded it with cross-hatching, because that way, while hand quilting it, you’ll get lots of practice — haha! 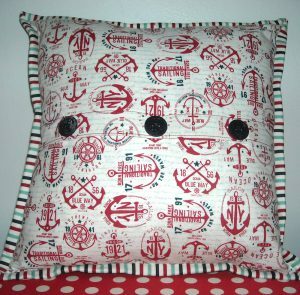 I made mine into a pillow, but it could just as easily serve as a little wall hanging. You can also use the design for an embroidery pattern, and embellish things with it, such as a shirt pocket, or a set of cloth napkins for your summer table. The pattern has complete instructions for either a pillow or wall quilt, and a full-sized quilting design included. 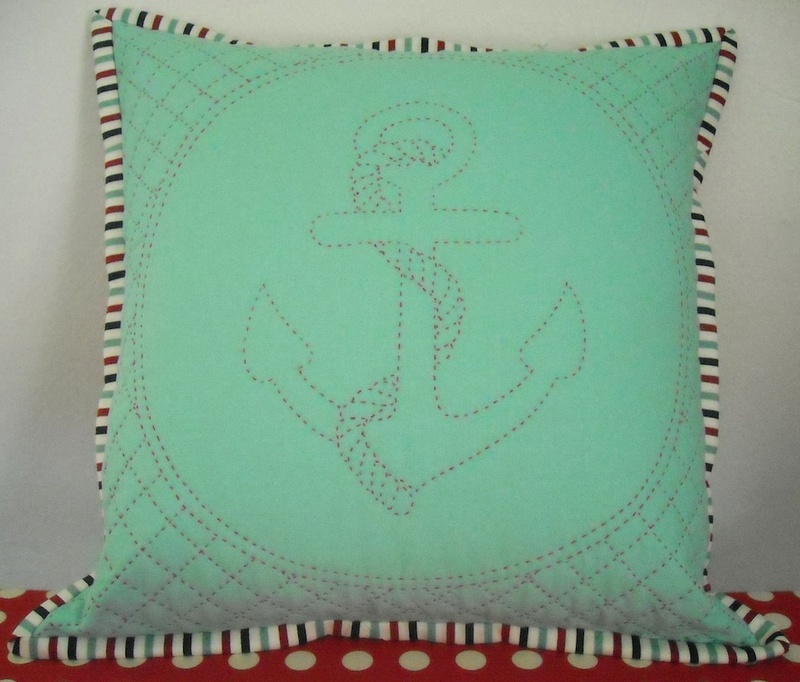 I’ve listed the pattern in my Etsy shop, both in print and PDF format. 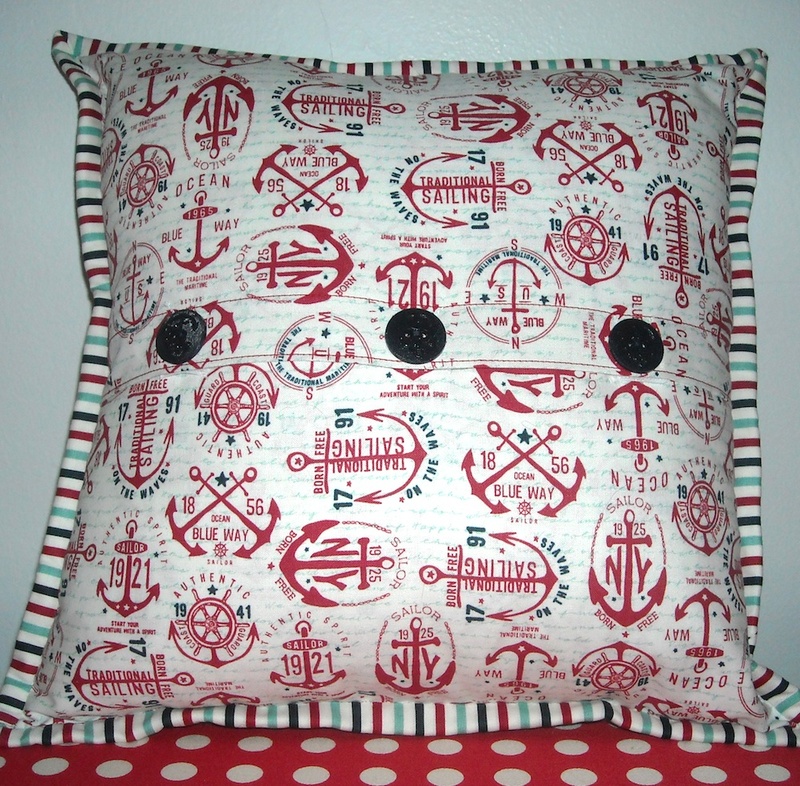 I love nautical theme items. (I married a sailor, after all.) Gotta get this at the quilt show next week.